Action Immigration Canada Inc. provides quality Canadian Immigration consultancy services for immigrants from all over the world. We assist individuals and families to successfully apply for Immigration to Canada. Also, we help our clients with their settlement after their arrival to Canada. Ms. Shohreh (Sherry) Bakhtiar is the President and Senior Immigration Consultant of Action Immigration Canada Inc.
Ms. Bakhtiari has helped many applicants from all over the world to successfully come to Canada through permanent and temporary immigration. 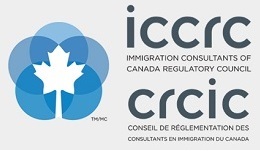 She is a full member of The Immigration Consultants of Canada Regulatory Council (ICCRC) with the membership number of R407431. In addition to ICCRC membership, Ms. Bakhtiari is a member of Toronto Real Estate Board and this unique qualification help us to assist our clients with their Real Estate needs and Business Investments.